The accused can make an application to the police station concerned or office of the Superintendent of Police or the Court of concerned Magistrate which is required to be provided to him immediately within forty eight (48) hours, the bench said. 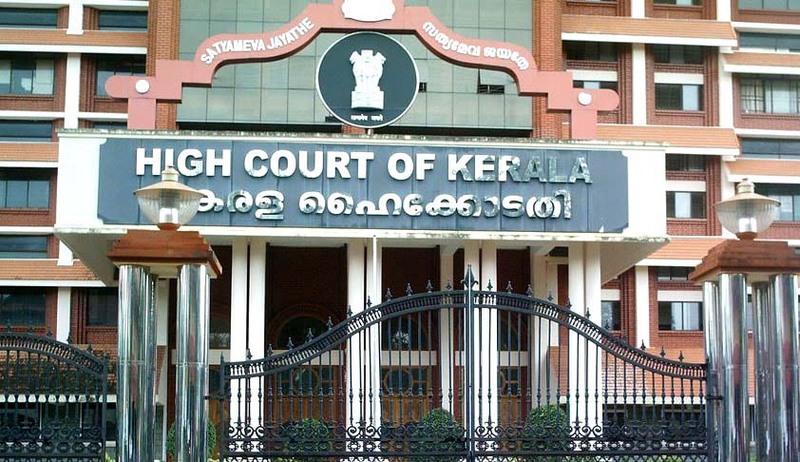 High Court of Kerala has directed the police to make available the copy of First Information Report to the accused within two days of his application. First bench comprising of Chief Justice Ashok Bhushan and Justice A.M. Shafique also held that the police authorities are obliged to provide for copy of the FIR on an RTI application, unless an appropriate authority decides it is exempted under section 8 of the RTI Act. Government was also asked to take a decision within three months, in the matter of uploading of all or certain category or nature of the FIR, in the official website with all concerned details. The High Court issued these directions while disposing of a Public Interest Litigation filed by a resident of Ettumanoor who was made an accused under Section 498A of the Indian Penal Code at the instance of the his wife. The petitioner, who works in USA, submitted that his parents are senior citizens and on registration of the FIR, the family members were called upon to come to the police station. He submitted that although the FIR was registered on 21.12.2012, petitioner could obtain a copy of the FIR only after two months. Once the FIR is lodged, unless the accused has good contacts in police station there is no way of knowing even the number of the FIR. Delay in getting copies of the FIR by the accused and delay in filing FIR in Court gives opportunity for falsification of the FIR including modifying the FIR, the PIL said. The court observed that right of the accused to defend himself by filing application under Section 438 of the CrPC. can only be fulfilled only when he receives a copy of the FIR. The court further observed that when Section 438 is held to be a device to secure individual's liberty, all means to secure the said liberty has to be held to be available to the accused to fulfil the object which clearly reinforces the right of the accused to receive copy of the FIR. Holding that the accused is entitled to get a copy of FIR, the bench said “The accused can make an application to the police station concerned or office of the Superintendent of Police or the Court of concerned Magistrate which is required to be provided to him immediately within forty eight (48) hours”. The court observed that informationunder RTI Act is being provided by the police authorities even online also and hence application for copy of the FIR can also be submitted by any person under the RTI Act. It is however, relevant to note that whether in a particular application police authorities are claiming exemption under Section 8(1) of the 2005 Act is a question which has to be determined by the police authorities by taking appropriate decision by the competent authority. In event no such decision is taken to claim exemption under Section 8 of the 2005 Act, the police authorities are obliged to provide for copy of the FIR on an application under the 2005 Act, the bench said. The state submitted before the Court that it has not taken a policy decision as to upload all FIRs in the website. Taking note of this submission, the court said that the state has to take a decision as to which category of FIRs have to be uploaded in the website for information to all and to permit easy access to all those who are concerned with crime registered and those who have to take further steps regarding the crime registered. It is in the domain of authorities as to which category of the FIRs are to be put on website for information to the public in general, the court said. On an application submitted by an accused for copy of the FIR, the concerned police station/office of Superintendent of Police shall make available copy of the FIR within two days from making the application. Copy of the FIR can also be obtained by an accused from the court of the concerned Magistrate where the report has already been sent within two working days from the date of making the application. Copy of the FIR has also to be made available on an application filed under the Right to Information Act, 2005 as per the provisions of the said Act unless a decision is taken by the competent authority that it is covered by any of the exemptions as provided under Section 8 of the 2005 Act. For uploading of all or such category or nature of the FIR, in the official website with all concerned details, the State shall consider all aspects of the matter and take appropriate decision in that regard within a period of three months from the date a copy of this judgment is produced before the 1st respondent.